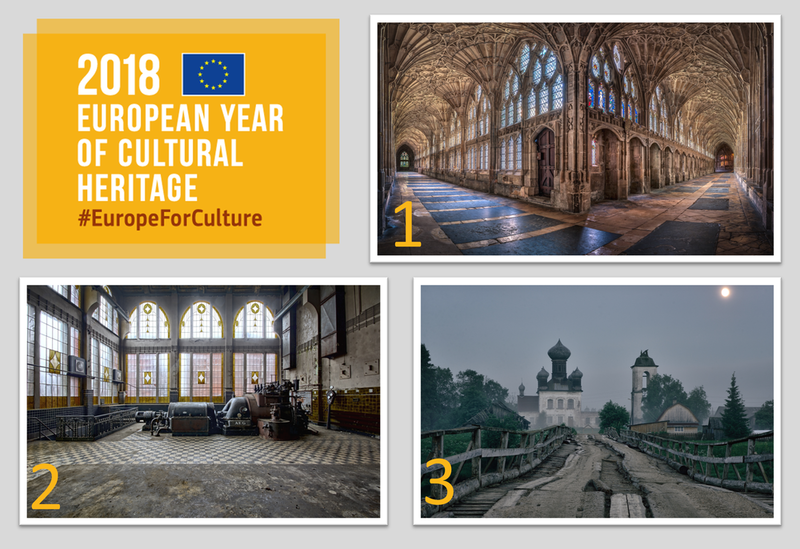 The European Year of Cultural Heritage in 2018 has come to an end and has shown us many different ways of how culture and different aspects of European culture are central to all our lives and how cultural heritage belongs to all of us. Operating with the slogan “Sharing Heritage”, Wikimedia Deutschland has participated in this Europe-wide project in cooperation with the German National Committee for Monument Protection (Deutsches Nationalkomitee für Denkmalschutz (DNK)) to show that cultural heritage is something that belongs very much in the modern-day lives and in the Wikimedia movement. One aspect of the WMDE implemented project called “Wiki Loves Monuments goes ECHY 2018” has been to issue a special award within the Wiki Loves Monuments 2018 contest for pictures that show an interesting perspective on European cultural heritage. The Special Award wants to draw attention to the value of European Cultural Heritage and enhance the understanding for the subjects of European cultural history, monuments, as well as the Wikimedia projects. By allowing global submissions and inviting everyone to deal with European culture in a creative way, the project is supposed to help foster a better understanding on European culture across borders. We are now very happy to announce the winners of the Special Award for European Heritage. The choice has been made in line with the judgement of the international WLM jury for the 3 best European pictures. 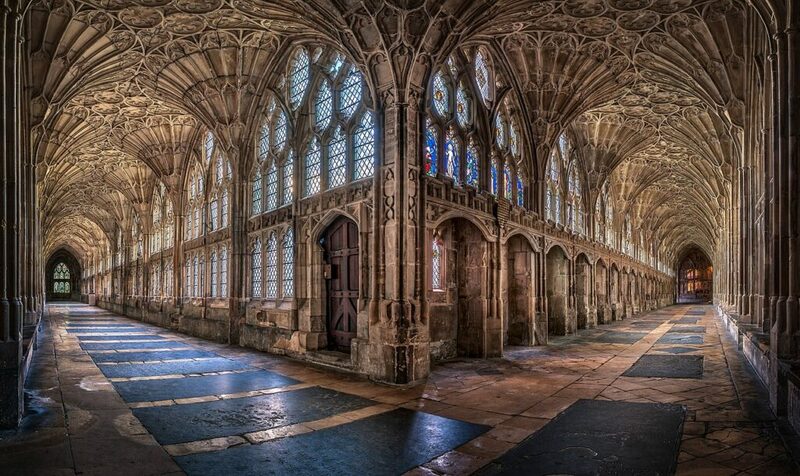 Christopher’s relation to European cultural heritage and the Gloucester Cathedral takes the form of singing classical music, often in large concert halls, but also in churches and cathedrals. I am a member of both the Philharmonia Chorus (London) and the Bournemouth Symphony Chorus (Poole, UK) as well as several smaller, more occasional choirs. Indeed, it was at one such event that I found myself singing in Gloucester Cathedral in mid-2017, a magnificent place about 50 km from my home. Having very recently taken up digital photography in a serious, though still amateur way, this encouraged me to revisit for a photography day to try to capture something of the Gothic splendour of the place, particularly the Cloisters, recently made even more famous by the Harry Potter movies. I am so fortunate to be in a position to be able to combine my love of and participation in choral music with my hobby of photography. I have recently performed in Siena, Tuscany and Morella, Spain in some magnificent Basilicas which, in addition to being wonderful places to sing, offer fantastic photographic opportunities as well. Indeed, in the early part of 2019, I will be performing the Berlioz Grande Messe des Morts in St. Paul’s Cathedral (London), Verdi’s Requiem in King’s College Chapel (Cambridge), Mahler’s Symphony No. 2 “Ressurection” in L’auditorium du Nouveau Siècle (Lille), a selection of Italian renaissance music in the Basilica dell’Osservanza (Siena) and possibly a programme of Renaissance polyphonic music in Regensburg Cathedral (Germany). It goes without saying that I will be taking my camera! As opposed to the first place with its tradition, the power plant in Łódź represents for us more the progress and industrial development in Europe. It “captures the interconnectedness of Europe’s industrial heritage” as one of the judges has put it. Marian feels that cultural heritage is a very important part of all our lives and that it plays an important role building the future of Europe. 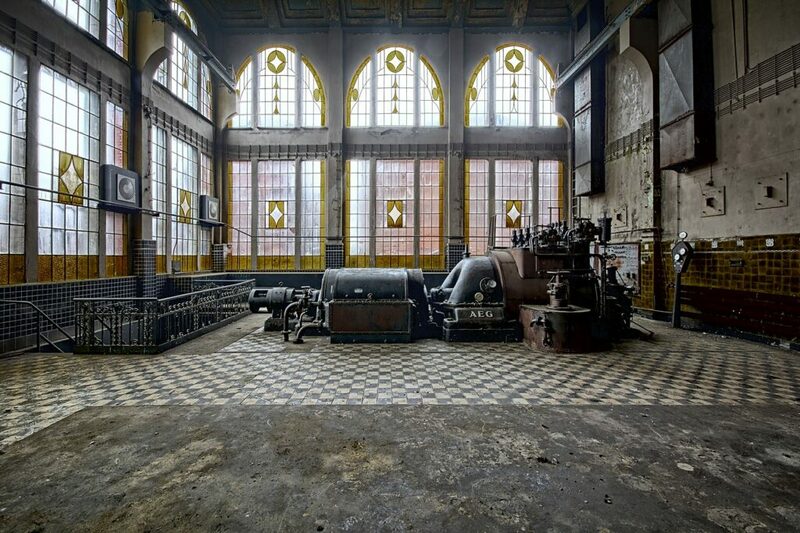 As a photographer, I try to immortalize monuments or factories that no longer work. In such places you can feel the spirit of a bygone era. Beautiful handmade items or decorations deserve special attention. Photography allows future generations to see their story. It is important to protect […] Cultural Heritage for future generations. Heritage evolves all the time so it connects people of different generations or religious denominations. I will support the heritage with all available means. The bridge being the main focus of this picture makes us think of connections and how this is especially relevant for Europe, its diverse pool of cultures and states and how sharing culture can be a major driver for connecting people. Mikhail especially concerns himself with preserving heritage in Europe, especially in Russia, and with drawing attention to unknown and neglected monuments. This monument has made lasting impression on me and gave me a mixed feeling – it was beautiful and tragic simultaneously. Many monuments of European heritage (especially in Russia), such as this one, are almost unknown. In recent years, people began to look for their roots, being interested in the culture of the country in which they live. 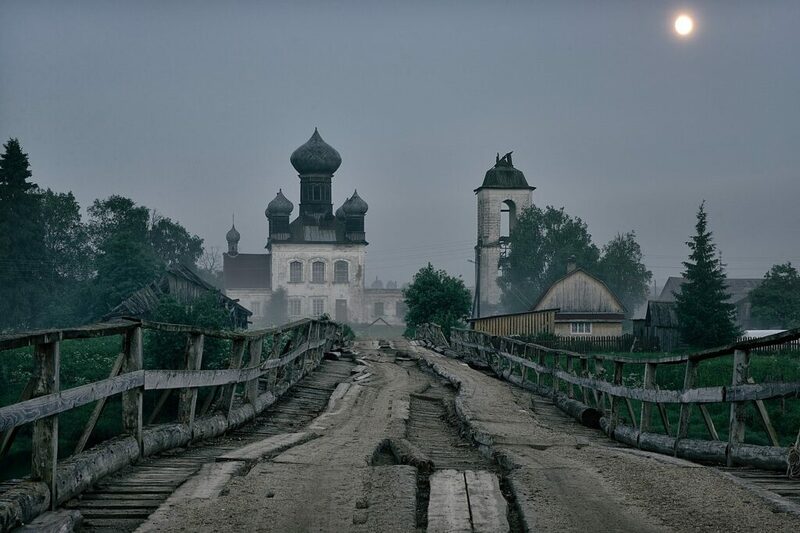 I want to show unknown Russian culture to as many people as possible and to draw attention to an urgent problem – many monuments, wooden churches and chapels, have vanished in the last 25 years. We, the people, can save them together, so that our children can see them “alive” and not only on photocards. Much is to be done, many monuments have to be saved and I am deeply convinced that resources from Wikimedia, Europa.eu and photo contests like Wiki Loves Monuments, can help achieve this goal. I love European culture, especially monuments in its northern regions. I’ve been searching for a place, where I can rest from the bustle of living in big cities, and the Russian North is one of them. It is the place where a man has to challenge many difficulties, but it also strengthens his spirit and will. I’ve tried to express my deep feelings in pictures like this about my fear for the future of many monuments like this one. Without help, sooner or later they will all perish. For whom the bell tolls! We are very glad to see such a wide variety of monuments in the 2018 WLM contest and to be able to experience all those different perspectives on European cultural heritage that each tell a different story and yet bring us together. The European Year of Cultural Heritage has been a very fruitful year for Wikimedia Deutschland and our partners and the volunteers of the Wikimedia projects which helped us to implement activities in various areas. With encouraging volunteers to use photography of 360 degree panoramas, we wanted to offer an opportunity to create new and innovative perspectives on monuments. We furthermore concentrated our activities on enabling and inspiring young people as well as volunteers who have not realized yet any projects in cooperation with GLAM institutions (Galleries, Libraries, Archives, Museums) to involve the Wikimedia movement in the issues of monuments and monument protection in the long term. We want to thank all the photographers that participated in Wiki Loves Monuments 2018! Much appreciation is also due to the organizers and the jury of the national and international Wiki Loves Monuments contest which made our efforts possible. I am also very happy with the winner of 3 Best Special Award winners in Europe. Wonderful images! Congratulations all. Will there be a template available so that these images can be recognised on Wikimedia Commons?